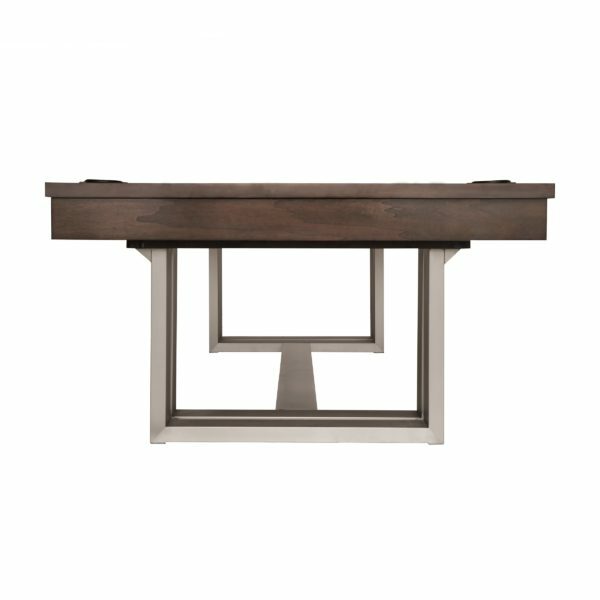 Walnut and Oak with a dark grey finish. 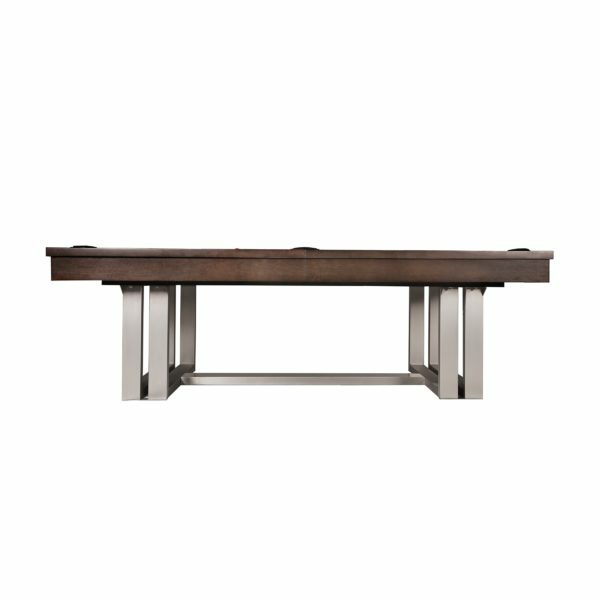 The Stainless Steel legs add a contemporary look. 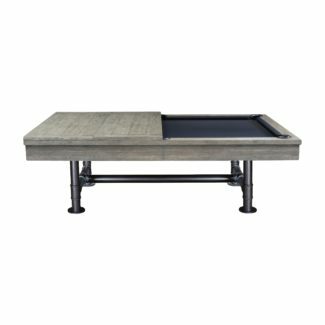 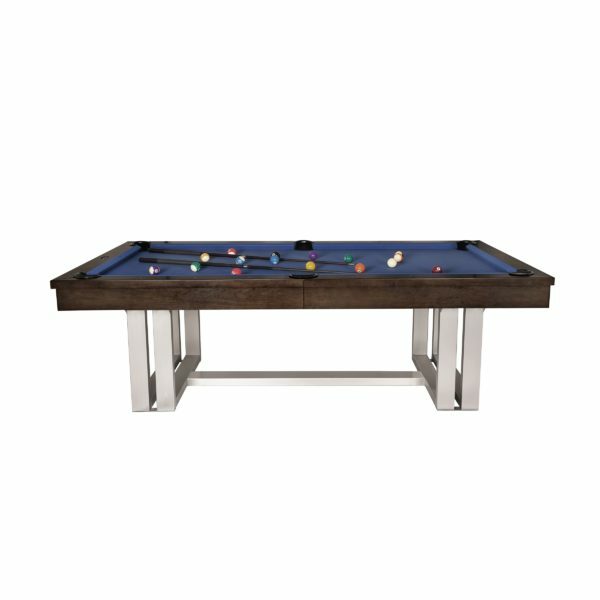 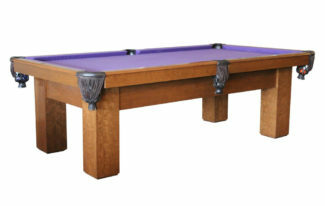 This table features leather internal drop pockets, metal rail sites, K66 cushion rubber, and 1-inch backed slate.